Most modern vehicles are paired with transponder keys and key fobs that help facilitate the ease of operation of a given vehicle. 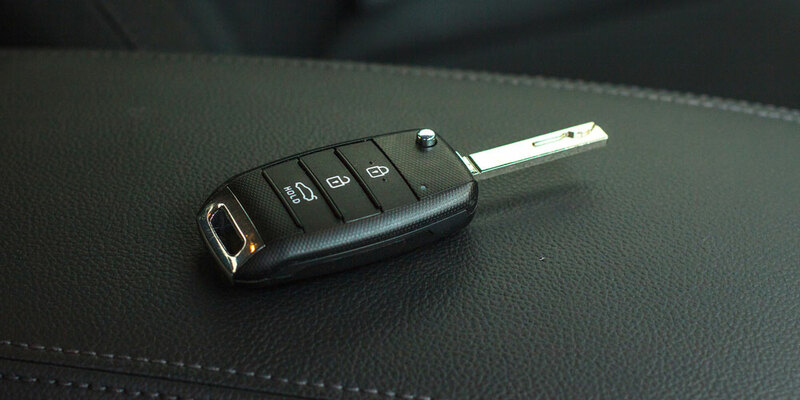 It might not sound like much, but the presence of a key fob allows for a more seamless connection between every driver and their vehicle. The key fob is often called a car key remote control, so car remote control replacement cost is synonymous with key fob replacement cost. Although these key fobs are an important aspect of every modern vehicle, they are not impervious to damage or loss. If you are unable to find your lost car key fob, there is a chance you will have to get a new one. Any loss or damage that befalls your car key fob will give rise to the need for a key fob replacement. This occurrence is more prevalent than one might be led to believe. However, the looming possibility of having to replace your car keys shouldn’t make you panic over the fear of the key fob replacement cost. Similar to the cost of car key duplication, there are several different avenues that can be explored to help you with your key fob replacement cost. There are also different factors that come together to influence the cost. It is likely that your potential solution will be one of the places that make keys near you. This helps you rest easy because no matter what option you choose, you know it will always be close by. The simple virtue of being in close proximity helps reduce the key fob replacement cost. However, proximity will not always be on your side. What is the average key fob replacement cost? It is important to have some knowledge on the cost of key fob replacements before you attempt to reduce them. Doing so will give you a ballpark estimate of the price point you are trying to attain by reducing the car remote control replacement cost. Similar to car key duplication costs and other automotive locksmith costs, a locksmith will charge anywhere between $90 to $120 to replace a key fob. This might sound like a lot, but it is merely a fraction of the cost that most dealerships might charge you. I would say that you are already on the right path if you are looking for ways to reduce your key fob replacement cost. Before you choose any solution, you should be made aware of the factors that come into play in determining the key fob replacement cost. This information will give you more insight into the things that you can do to reduce the costs associated with car remote control replacement. Ideally, if you can pinpoint the most expensive factors and influence the way they are handled, you should be able to minimize your key fob replacement cost. Before I get carried away, I should warn you that cost pertains to more than just the monetary side of things. Most people often forget that time and convenience are extremely costly as well. This means that if you have to sacrifice time and the quality of the key fob replacement job, simply to save money, you should reassess your approach. Keep this in mind as we explore the factors that influence key fob replacement cost. Here are the main facets that determine the overall cost of a key fob replacement. Similar to many other key related replacements, the cost of the parts involved will influence the final key fob replacement cost. Key fobs are often confused with traditional mechanical keys, or with transponder keys. However, you should keep in mind that the cost of replacing a transponder key, or transponder key programming is completely different from the key fob replacement cost. The parts required to replace a lost or damaged key fob usually consist of the key fob casing, the internal wiring mechanisms, as well as the batteries that are used to power the car key fob. The cost of these specific items varies based on the vehicle’s make and model. The avenue that you choose to handle your key fob replacement with will also determine the key fob replacement cost. As I have already mentioned, there are multiple solutions that drivers can take advantage of when it comes to replacing car key fobs. Some of the most common solutions include requesting the services of a car locksmith, contacting your car dealership, or choosing to handle it on your own in DIY fashion. The cost you incur for your key fob replacement will vary based on which of these methods you decide to use. The key fob replacement cost done through a locksmith will vary in price from the car remote control replacement cost handled by the dealership. There are also some additional costs that will have to be factored in. For instance, will your new key fob replacement have to be programmed to your vehicle? If additional services are rendered, the key fob replacement costs will rise. Another important factor that people often overlook when considering key fob replacement cost is the type of car key in question. Now, you should be aware of the fact that not all key fobs are built the same, which means that the replacement key fobs will not be the same. For instance, a Toyota key fob replacement will be much different than a Ford key fob replacement. It is one thing to replace the batteries in your car key fob, and it is another thing to replace the car remote control entirely. The difficulty of this becomes evident when you look at the car key fobs for more modern vehicles. Everything about these key fobs is built to promote enhanced connectivity. Replacing this is something that is extremely difficult to accomplish on your own, so it is best left to the professionals who have the right set of skills and tools to handle this. The time it takes to replace your key fob is also factored into the key fob replacement cost. Unlike most of the other factors that were discussed above, time affects the key fob replacement cost in multiple ways. For instance, if you have a complicated key fob that requires additional programming, the additional time will likely be reflected in the final key fob replacement cost. Also, if you happen to tackle the key fob replacement on your own, a la DIY, you will potentially spend a lot of your time figuring out to replace and program your car key fob. Now, I am not saying that this isn’t a worthy endeavor, instead, I am merely pointing out the fact that there is too great a risk which is not reflected in the reward received. If something goes wrong while you attempt to replace your car key fob, there is a chance that you would have just wasted precious time for no particular reason. When most people are faced with a car-related problem, regardless of what it is, their first point of call is usually to their respective car dealership. If you take the time to think outside the box, you will realize that you do not always have to rely on your dealership to help you with something like a car key fob replacement. This is not to say that the dealership is not a reliable source for car solutions. However, there are more cost-effective car remote control replacement alternatives out there. Taking the time to contact local auto locksmiths near you might save you a great deal of money, and it will ensure that you do not have to travel far to get your car key fob replaced. The expectations of calling a car locksmith are similar to that of calling a residential locksmith. Most locksmiths offer mobile locksmith services, which means that they can easily meet you at your home to help you replace your key fob. Sometimes it helps to plan for a key fob replacement scenario way before you even need one. The best way to do this is to take the time to make several spare car keys that are each programmed to your vehicle. Spare car keys help minimize cost in a big way. It might not sound like it saves you anything at all, but it really does. Regardless of the outlet that you choose to use for your key fob replacement, you will most likely have to pay a service fee. Having a spare car key fob made when you get your original car key might help you circumvent any service related charges, and it can save you both time and money. This also potentially saves you from a scenario where you might be locked out of your car, or left stranded without a working car key fob. Another great way to reduce the key fob replacement cost is to combine several of the solutions that are at your disposal. From personal experience, the best way to save money on this process is to combine a DIY approach with the services of a locksmith. An auto locksmith’s cost for replacing a car key fob is much less than it is at the dealership, and this is the first factor that saves you money. You could reduce your costs further by ordering the necessary parts for your car key fob replacement online. Purchasing parts of the car key fob on Amazon is a great way to go. This gives you an easy way to buy the casing, batteries and internal wiring for your key fob, which reduces the overall cost once you give the car key fob to a locksmith. Calling your local locksmith beforehand, and letting them know that you have most of the basic parts necessary for your key fob replacement, will expedite the process without breaking the bank. Most car dealerships will be hesitant to work with car key fob parts that they did not provide, but a locksmith will gladly help you reduce the cost of your car remote control replacement.